MIS surgery with cutting burrs allows percutaneous bunion correction with a very small open procedure. Neosteo designed a complete range of cutting burrs made in stainless steel for forefoot surgery. This type of surgery is less traumatic for the foot than a classic surgery and allows a quicker recovery for the patient. The metarsophalangeal osteotomies like Scarf or Chevron, shortening of the first phalanx and Weil allow to correct the forefoot in an efficient and stable manner. Neosteo is focalized on the human dimension (patient, surgeon and medical team) to put them at the heart of reflexion. A requirement reinforced on 3 axes offers the best answer to osteosynthesis. 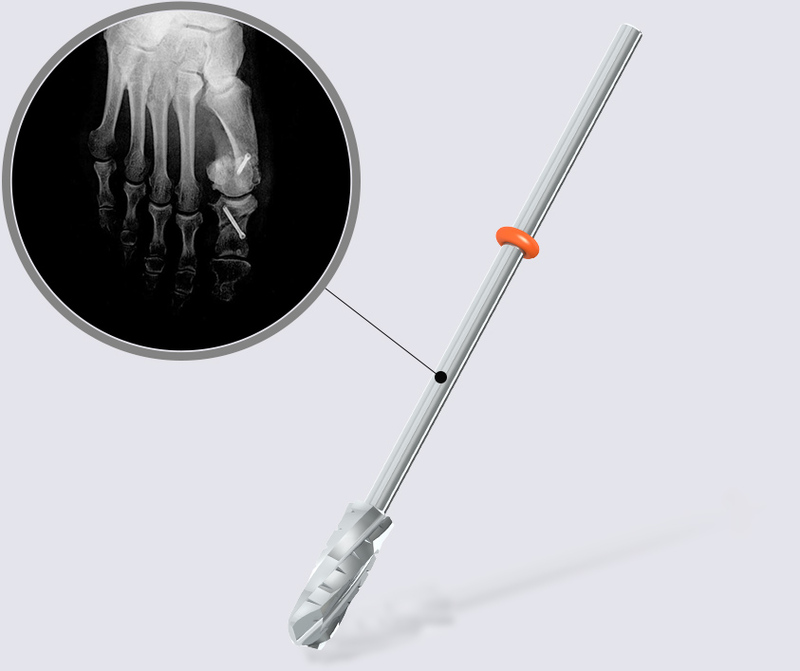 The Dynafit System kits include the ancillaries necessary for the surgical procedure.